Bubbles, bubbles everywhere. Smoke bubbles, hand bubbles, have a go's! Book a fun packed, bubbly bubble party. 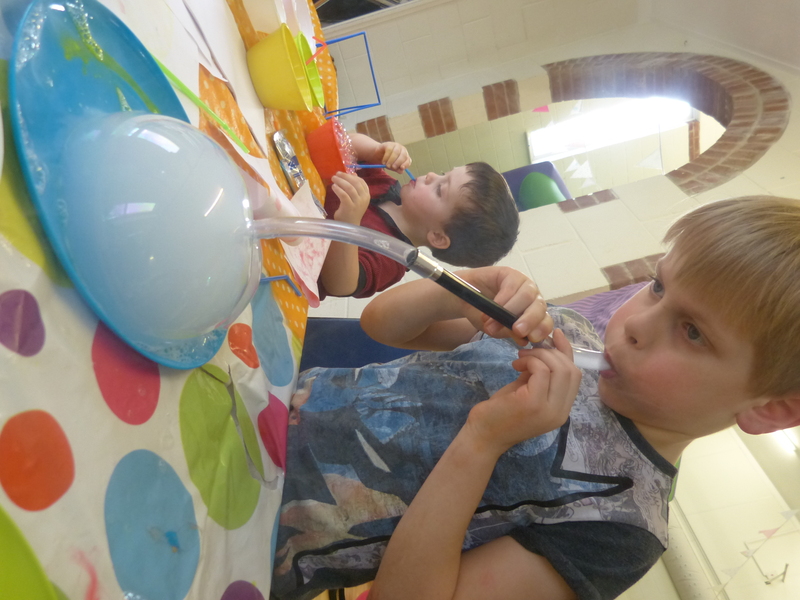 Creative, fun and sensory bubble workshops perfect for indoors. 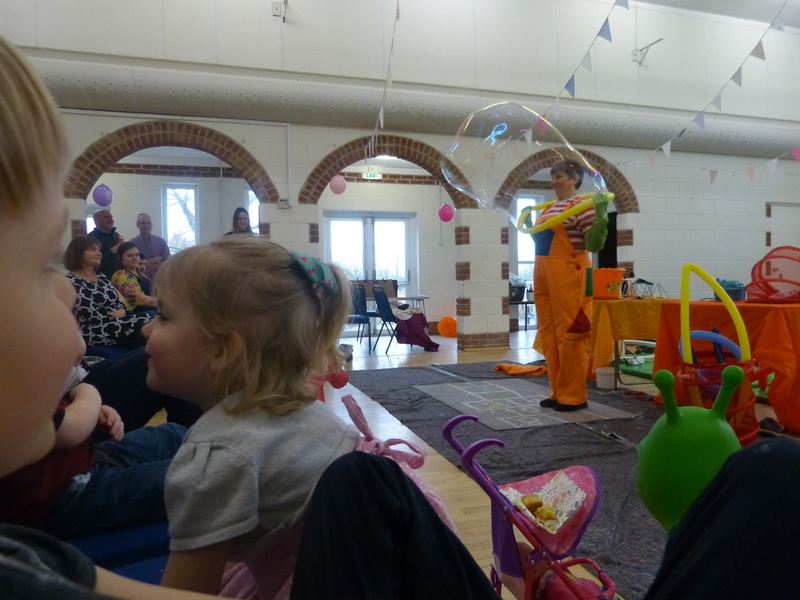 Interactive children's bubble shows for family events, weddings and birthday parties. 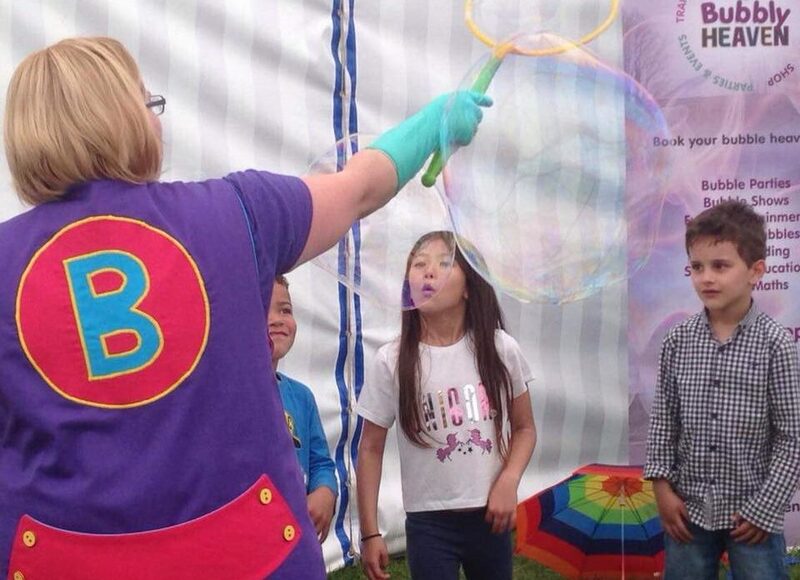 Book bubble entertainers, bubbleologists and bubble shows any where in the England, Wales, London and Scotland. 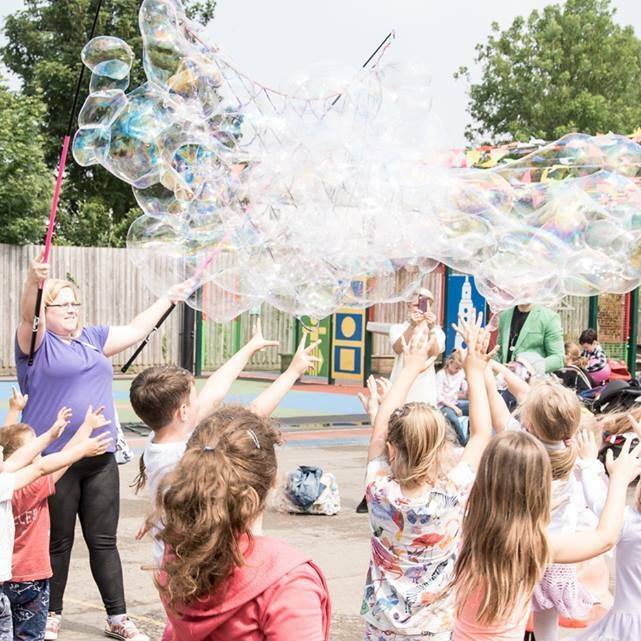 Caroline (aka Bubblz/London based) and Cheryl (aka Bubble B/Gloucester based) founded Bubbly Heaven in 2017 to bring the joy of bubbles into everyone’s lives. 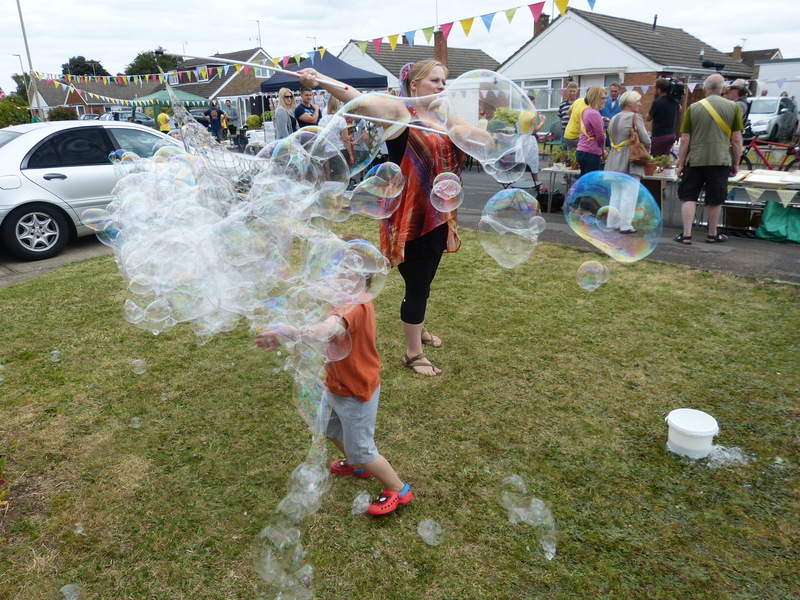 Bubbly Heaven entertains with bubbles at children’s parties, events and weddings all over the UK. 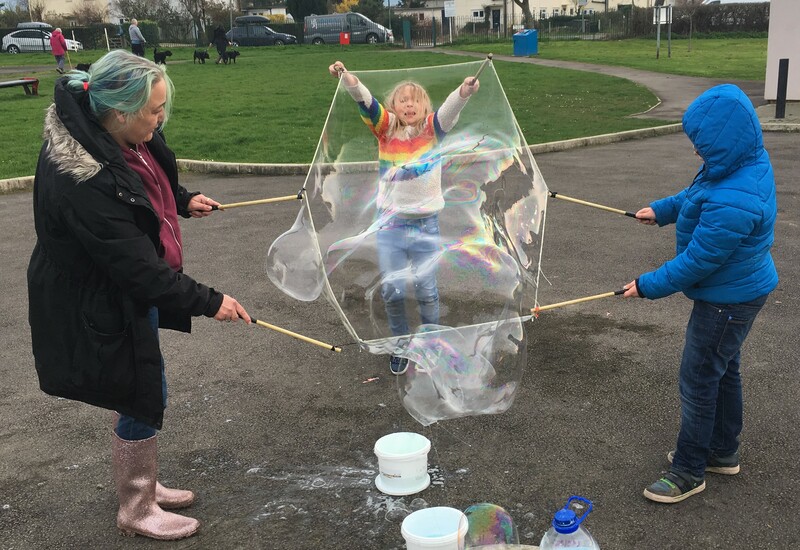 We can be booked for bubble entertainment in Bristol, Bath, Gloucester, Swindon, Oxford, Reading, London, Birmingham, Worcester, Newport & Cardiff. Hire bubble entertainers for birthday parties, weddings, festivals, schools, summer fêtes and corporate events. 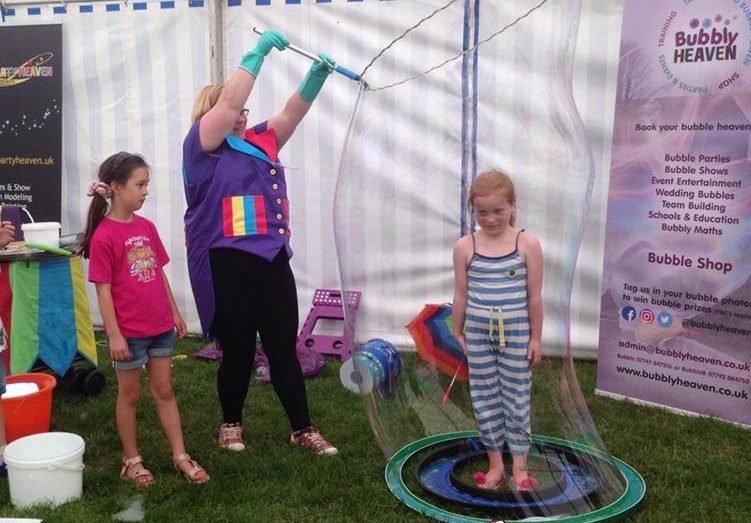 Our bubbleologists provide bubble shows, displays, indoor workshops, walkabout and other children’s entertainment. 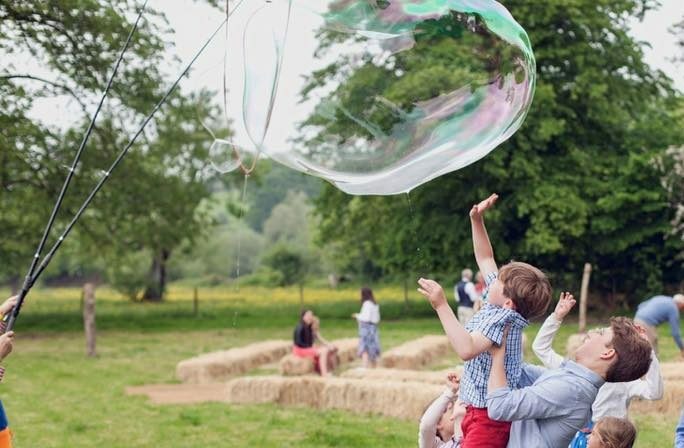 Bubble entertainment can be done indoors and outdoors so the good old British weather does not get in the way! 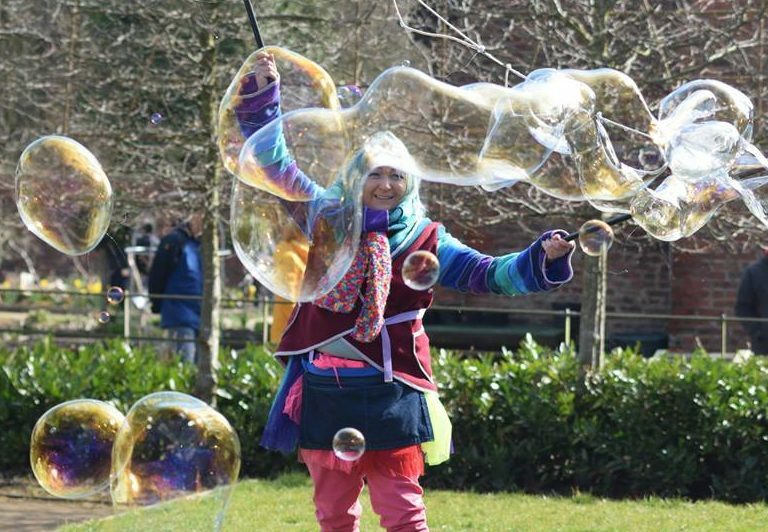 Bubbly Heavens bubble team of children’s entertainers, performers, bubble shows and bubbleologists work across the UK including Ireland. Our bubble team is growing everyday and we can cover Gloucestershire, Bristol, Bath, Newport, Cardiff, Swindon, London, Oxford and Reading. We also bubble in Hereford, Worcester, Milton Keynes, Stratford, Birmingham and Coventry. Plus we have bubble entertainers in Lancashire, Liverpool and Manchester areas. 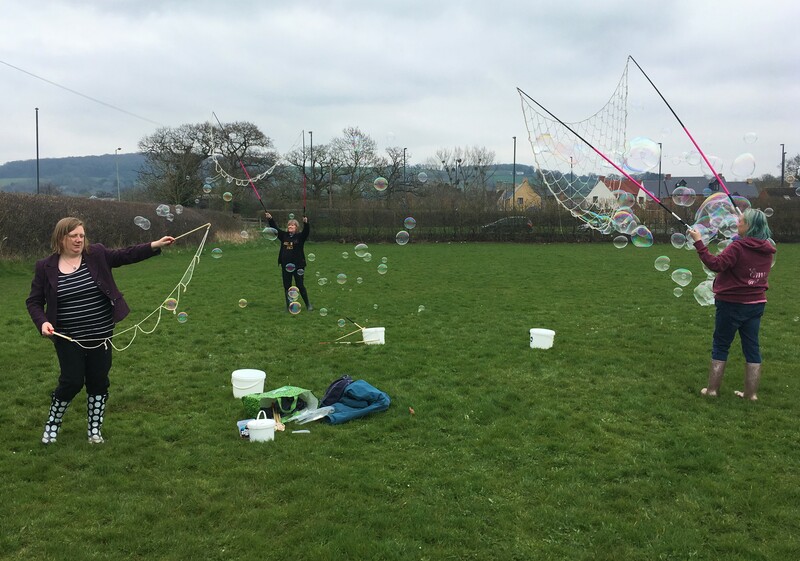 Caroline and Cheryl offer outdoor entertainer bubble training workshops with spaces available this year, we travel to you. Please get in touch to book in. Also join the Newbie Bubble Entertainer Group on Facebook for inspiration, help, meet the online bubble community and ask bubble questions. We also have a range of online tutorial videos available to purchase. ONLINE MAKE YOUR OWN GIANT BUBBLE JUICE TUTORIAL NOW AVAILABLE! More online content coming soon in 2019. We provide corporate training and reward days. Team building events and bubble workshops for employee reward events. Too Grown Up for Bubbles? No adult too old, no party too late. Book our black tie bubble show to add sparkle and enchantment to your evening event, after dinner delectation, captivating keynotes and bubbly black tie events. Please get in touch via email admin@bubblyheaven.co.uk or use our contact form. Cheryl and Caroline both have parent and sister companies of Bubble Heaven. Please take a look for more exciting bubble businesses. 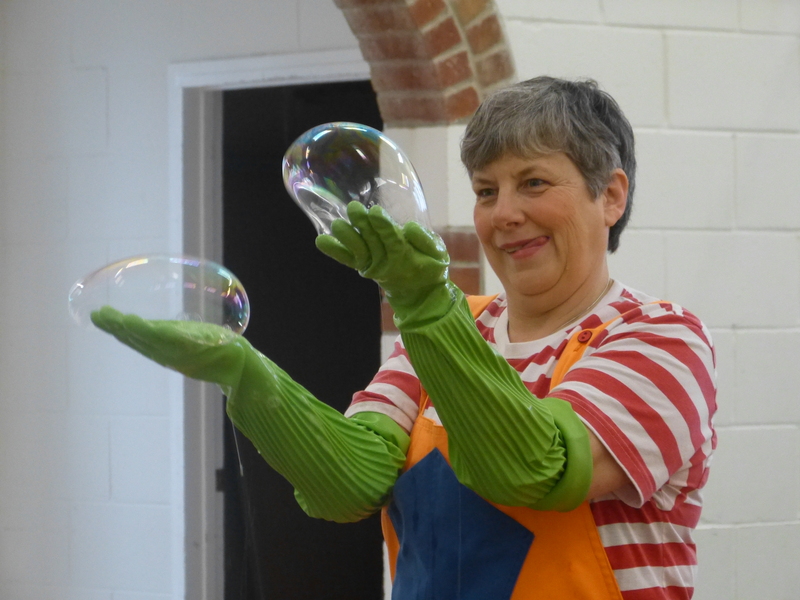 www.bubblymaths.co.uk – Bubble Math’s makes learning math’s fun using a bubbly math’s show and workshops available for schools, nurseries, key stages and other settings across the UK, based in London and Oxford. www.littlepartyheaven.co.uk – Little Party Heaven provides balloon modelers, face painters, animal encounters and bubble entertainers to parties, weddings and events across England, Scotland and Wales, based in Gloucestershire and Bristol. 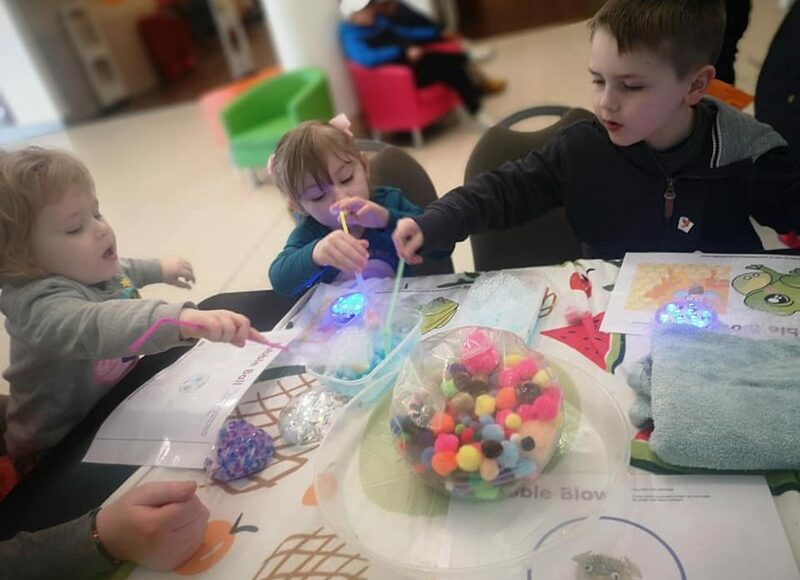 www.sosensorybubbles.co.uk – So Sensory Bubbles provides group and one-to-one assisted bubble therapy sessions in care homes and SEN settings. So Sensory also sell a range of bubble kits. Based in Stroud covering the Cotswolds.